Rank: #54 out of 271. LARGE TOUCHSCREEN makes it even easier to read. The 13.0 megapixel built-in camera with flash has easy-to-use photo sharing. SIMPLE MENU organized in a single list with large letters and icons makes it easy to navigate. Our simplest smartphone ever! 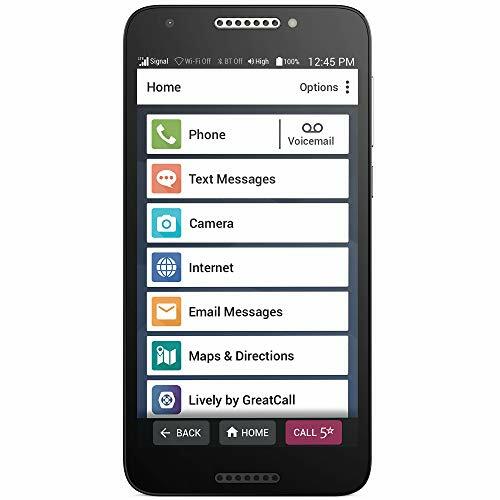 EASY-TO-USE smartphone with exclusive features that are only available on the GreatCall network. Activate with GreatCall by phone or on the GreatCall website. NO CONTRACTS OR CANCELLATION FEES with dependable nationwide coverage. Affordable, flexible plans with data as low as $17.48 a month. AWARD-WINNING, 100% U.S.-BASED CUSTOMER SERVICE and support. Turn your phone into a personal safety device with exclusive health and safety services. Jitterbug Smart2 is a very popular option at the bottom of the price range. It's in the top 3 bestselling smartphones and has dozens of popular alternatives in the same price range, such as Greatcall Jitterbug Smart or Motorola Moto G 16GB . 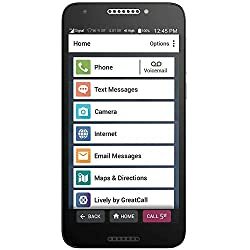 Jitterbug Smart2 is $119.88 cheaper than the average smartphone ($194.37).